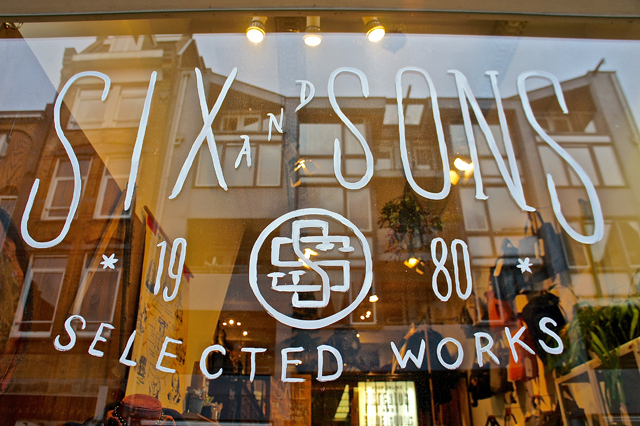 Six and Sons is a concept store selling anything from furniture to clothing and from soap to magazines. We travel through europe to find the best vintage pieces for your home. Our brick and mortar shop in Amsterdam is open 7 days a week. Here you will find clothing curated by the Hunting Ensemble. Unique home decoration like the Terra Hydro from Japan. We have a nice selection of sunglasses by Han Kjobenhavn and dinnerware inspired by vintage sailor tattoos by byMutti. Beside all that we also love to be of any service with your interior projects. From design to furnishing, anything is possible.